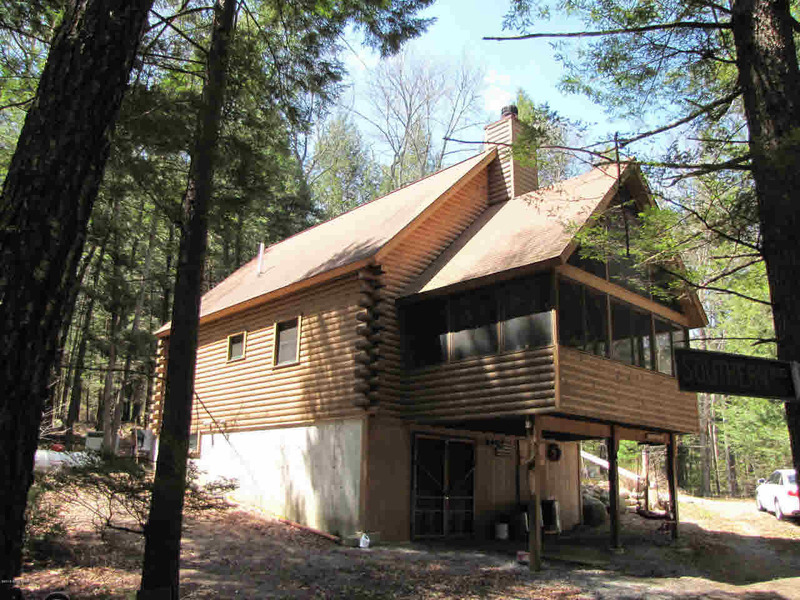 Private Waterfront Property on pristine Adirondack Lake known as Valentine Pond.Log home built in 2001 has 3 bedrooms & 1 bath, wood fireplace, and a boat house to store kayaks, canoes and fishing gear. Used as a seasonal camp. The property is Off the Grid - using a generator for power. A 90% efficient propane furnace, drille provides all the convenience of home in the shoulder months. There are two propane generators go with the property, one acts as a backup and the owners use them alternately. A unique Adirondack experience awaits the successful buyer. The present owners did not use the camp in the winter, although it is set up for winter use if you choose to use it year round. A local contractor will plow the private road for $150.00 per snow storm. No public access to the Lake.